Disa River : Source to Sea. When John Chapman, mate of the British Trader "Consent", paddled his skiff enthusiastically towards the beach in 1607, he quickly recognised that this bay, initially named for him, was a safe landing place + abundant supply of fresh water from the pristine river flowing into the sea. 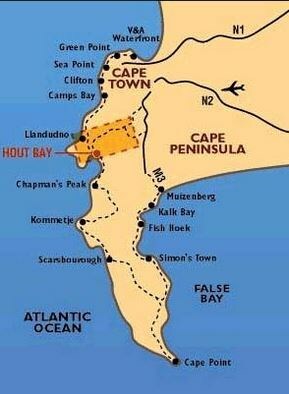 Some half century later in 1652, Jan van Riebeeck, Governor of the Cape, established a "half-way house" to provide fresh supplies for ships en route to- and from- Holland and the spice islands of the East Indies. 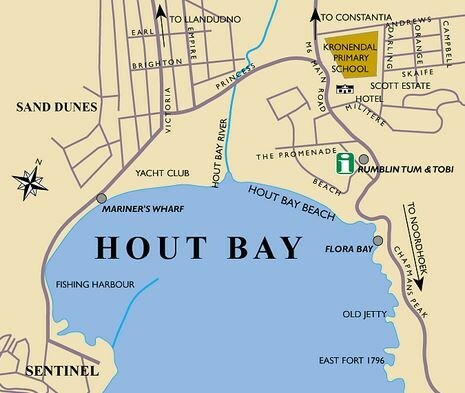 Soon, Houtbaai (Wood in Dutch) became the official name for this picturesque bay. 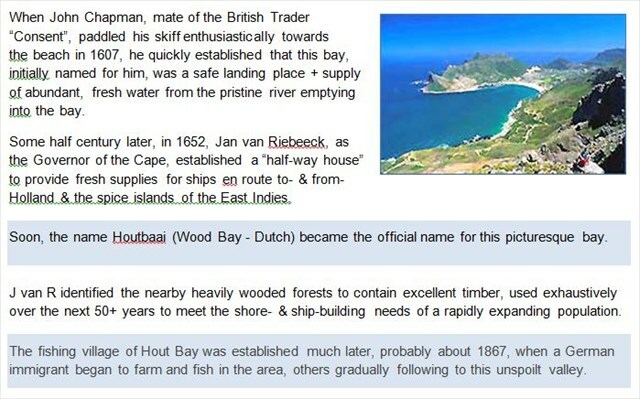 Jan van Riebeeck identified the nearby heavily wooded forests to contain excellent timber, used exhaustively over the next 50 + years to meet the shore- and ship- building needs of a rapidly expanding population. 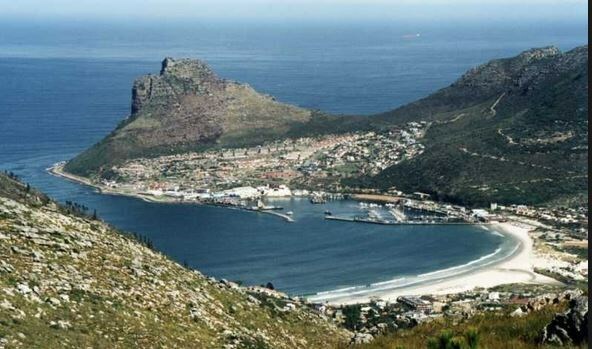 The fishing village of Hout Bay was founded much later, probably about 1867, when a German immigrant began to farm and fish in the area, others gradually following to this unspoilt valley. 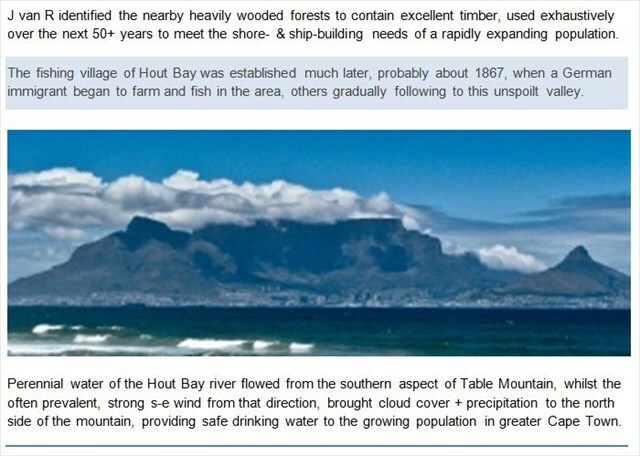 Perennial water of the Hout Bay River flowed from the southern (back) aspect of Table Mountain, while the often prevalent, strong south-easterly wind from that direction brought cloud cover + precipitation to the north and north-east sides of the mountain, providing safe drinking water to the growing population of Cape Town. Sadly, though, the northern aspects would eventually no longer be sufficient . . . Attention thereby became focused on the south side, i.e. 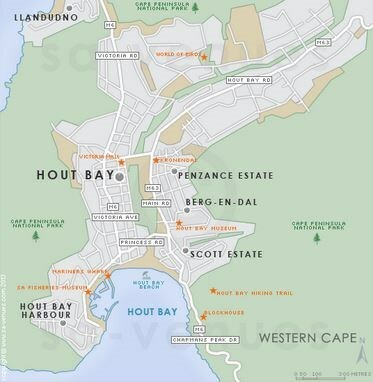 the large catchment area of the Hout Bay area, bounded by the mountains and some 34 km2 in extent ! 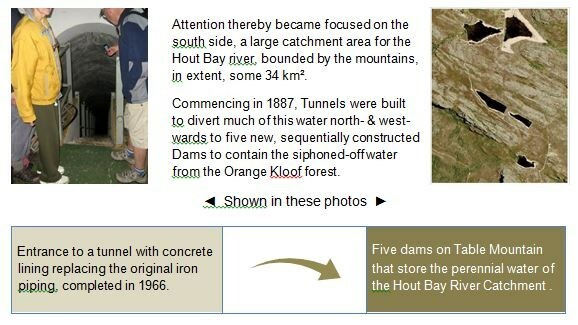 Commencing in 1887, Tunnels were built to divert much of this water north & north-eastwards to five newly, sequentially constructed Dams to contain the siphoned-off water from the Orange Kloof forest. 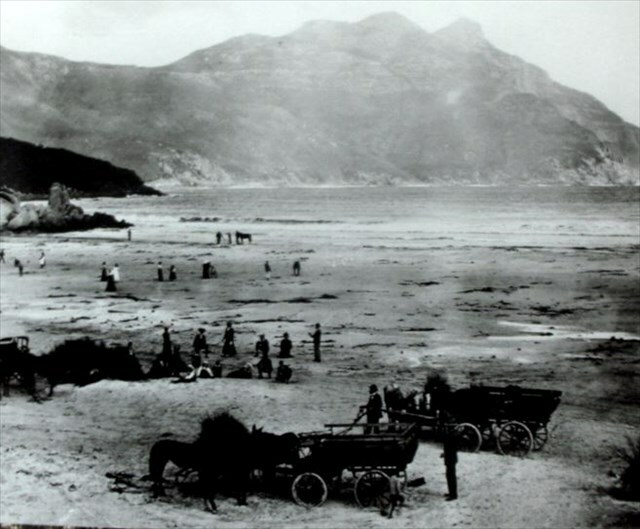 And so the "theft" of Hout Bay water began . . .
leading to the demise of agricultural activities in the valley, depletion of the palmiet in the wetlands and other unintended consequences ! Moreover, a water table sometimes too high, compromising the "French drain" soak-aways in the area. Cyclical weather would sometimes cause the Dams to be filled to over-capacity when, of necessity, sluice gates were opened and the river would revert to its old course, culminating in an enormous body of water cascading down to the sea. Good reason, probably, for the term "Wild River" coined in 1962. This river has flooded several times over the past century, most noticably at the then causeway in the Longkloof section. In 1984, an extreme flood manifested itself in significant alterations to the river's course, eventually forcing intervention by construction of a proper spillway / weir at that particular site, (refer GC2FW20 Flood Control) and other sections southwards. 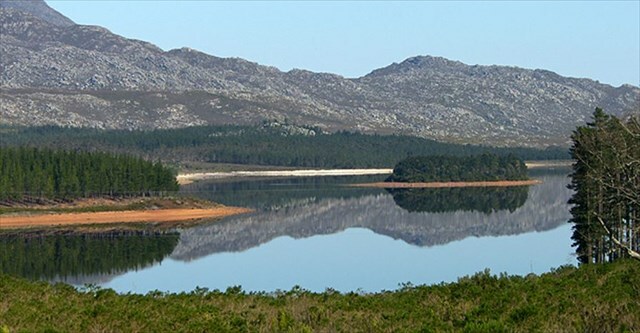 Officially the Hout Bay River, it is generally and affectionately known as the Disa, fitting in that its sources are "Original Disa" and "Disa" streams on Table Mountain. 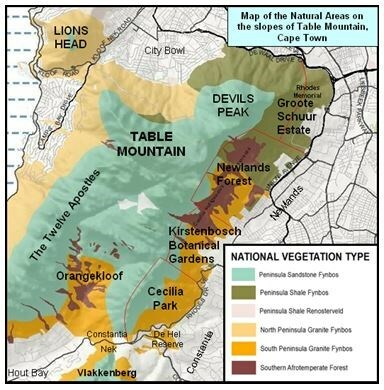 The river is 12 km in length, has its source(s) in the upper reaches ot Orange Kloof forest on the southern slopes of Table Mountain, whence, from the confluence of the Original Stream rising from the Main table of the Mountain and Disa Stream to the s-e, essentially from precipitation, some of which in the form of ground water, it winds down the valley from an elevation of 720 m, gradually levelling and slowing in velocity as it nears its estuary on the beach of Hout Bay. 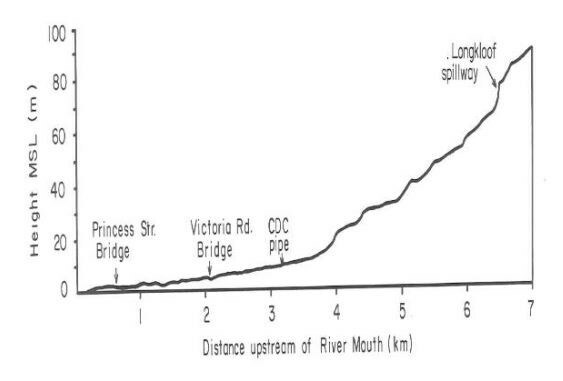 Some 26 km of tributaries join the river on its course to the sea, many of which are wet-weather or intermittent streams, dry most of the year, but flowing strongly after winter rains. Precipitation, we know, comes from cloud cover, but what actually is Ground Water . . ? It is probably a general conception that the water flowing in rivers and streams comes from precipitation runoff, i.e. from the landscape into the river. Sure, that is so, but it is not the only source, in that a lot of the water flowing in rivers comes from seepage of ground water into the streambed. The water flowing in rivers still originates from preciptation, but is not all from surface runoff. 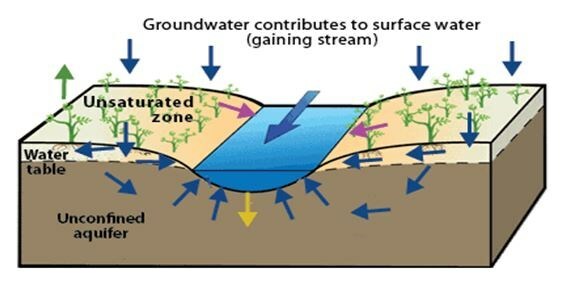 The diagram below is a general schematic of how ground water contributes water into surface water (streams / rivers / lakes). In this instance, a "gaining stream", which essentially gains water from the ground. Other streams are "losing streams" which lose water from the streambed out into the ground. Rivers can gain or loose at different locations : they can be gaining at one time of the year, losing at another. As the yellow arrow shows, even a gaining steam will be losing some water and vice versa. This diagram depicts a gaining stream where ground water actually enters the streambed. As noted, source of all water is precipitation, the dark blue downward arrows shown above. Some water hitting the landscape runs downhill, into the stream, the purple arrows - runoff. The tan area is the unsaturated zone, the top layer of the ground that gets saturated during heavy rainfall, stays wet but not saturated after such rainfall and can become quite dry at times when little or no precipitation falls. This zone is the area in which plants put down roots and thus draw water from. The green arrow shows that water moves up from the unsaturated zone into the plants and then out of the plants as evapotranspiration. Ground Water occurs mainly close to the Earth's surface. 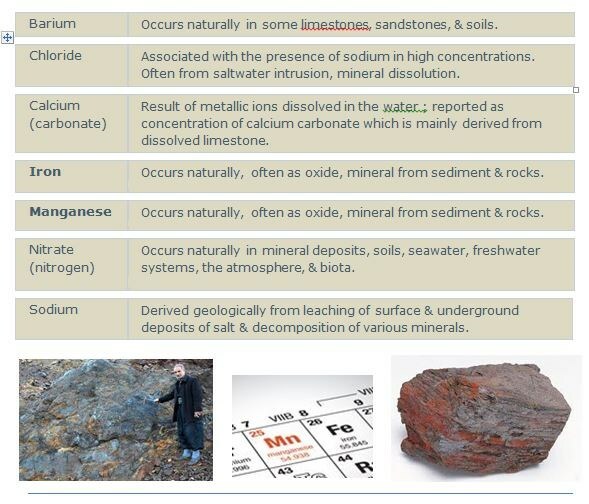 There must be space between the rock particles for ground water to occur albeit that the Earth's material becomes more dense with greater depth. In fact, the weight of the rocks above causes the rocks below to condense and squeeze out the open pore spaces deeper within the Earth. This is why ground water can only be found within a few km of the surface. Map on the left shows, shaded in green, extent of the wetlands on either side of the river, at its widest as it nears the estuary. 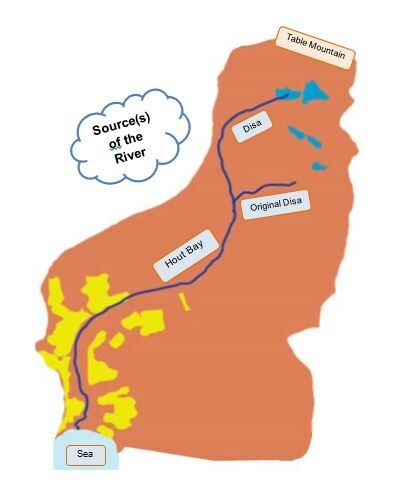 Map on the right indicates clearly where the Disa river enters the sea. As the river flow diminishes from fairly rapid ► leisurely, diversity and intensity of flora and fauna, as to be expected, change significantly too. Plant Life along the river, so-called riparian zone, varies from indigenous forest in the Orange Kloof, alien reed / riet further down, to the extensive wetlands as one nears the estuary. Animal and Bird diversity, less easy to describe, due to their elusive nature and human intervention. 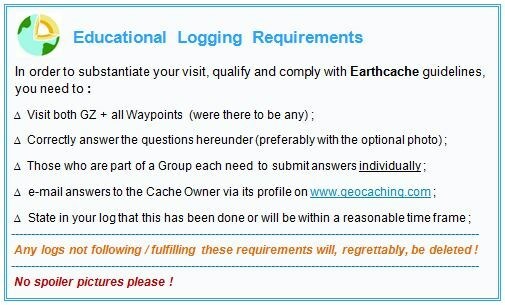 Where is the source of the river & what is its estimated length to the estuary ? 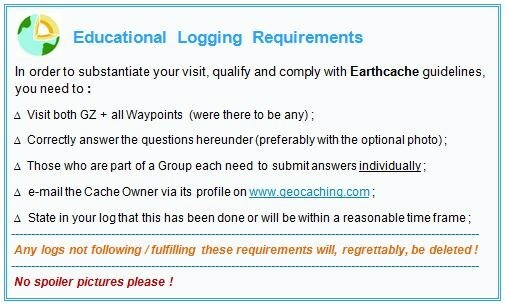 Distinguish between precipitation & ground water ? 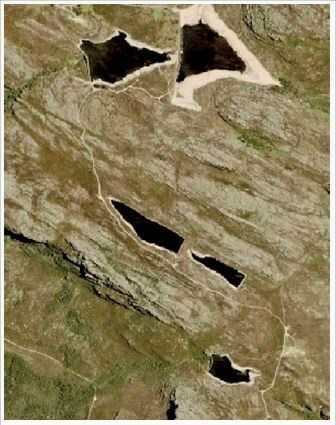 What two metallic minerals are mostly found in deposits within this catchment area ? Albeit several rivers flow off the mountain, why is this river known to be unique ? What effect(s) does the water table have on the river - please elaborate ? 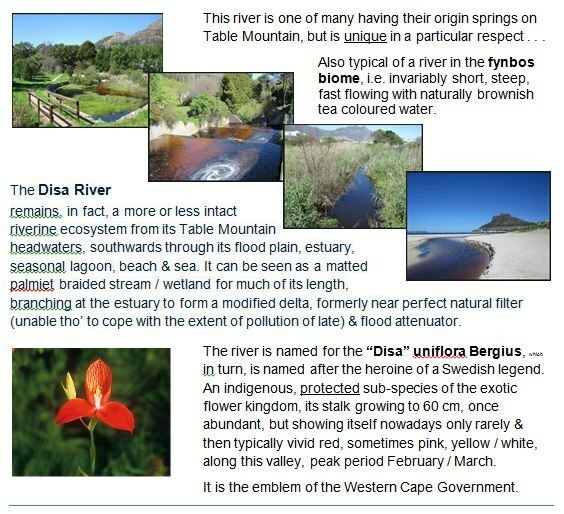 River is named after the beautiful Disa flower - to what species does it belong ? 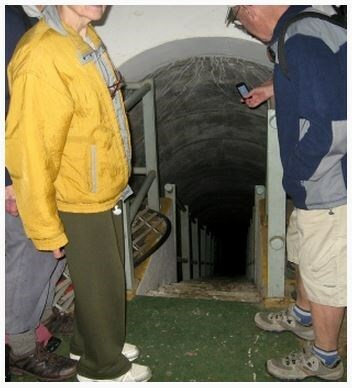 Describe what unusual object is in full view at GZ ? 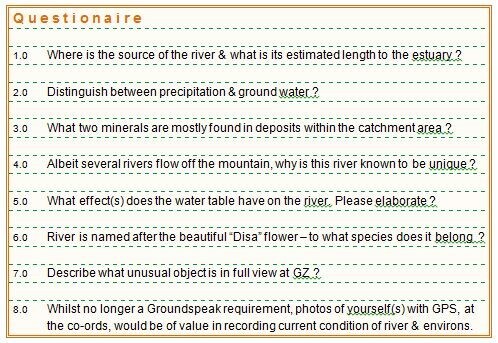 Whilst no longer a Groundspeak requirement, photo of yourself(s) with GPS at either or both co-ords, of value in recording the then condition along the river & environs ? No spoiler photos of any signage please ! 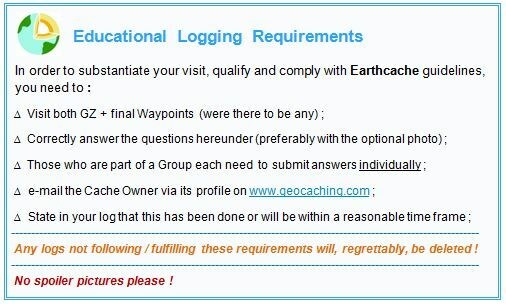 Behrens, Jamie : Geocacher par excellence as "family Behrens"
I 9.6 Blue Flag Beach ?